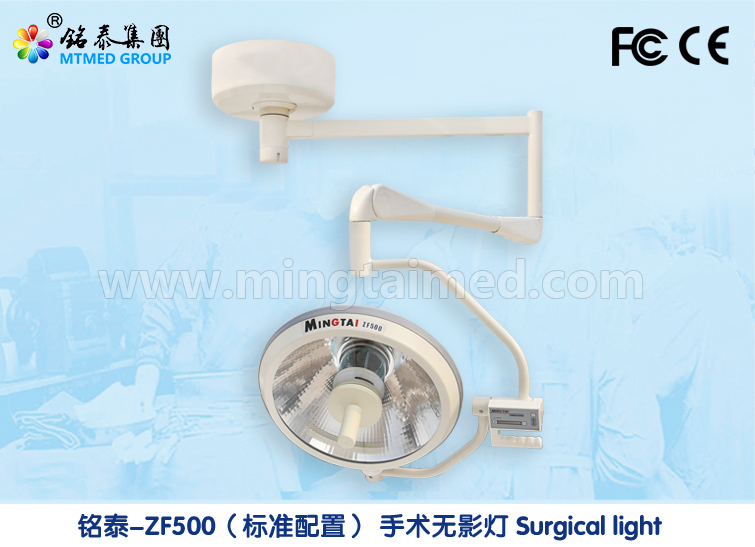 Mingtai ZF500 halogen shadowless Surgical Light has six joints, 3 of them 720° rotation unlimited, 2 of them 180° rotation. This operation lamp power system use Taiwan meanwell power system, wide voltage, get UL, Csa, CE, ISO9001 certification. It illuminance is 120,000 Lux. Looking for ideal Single Dome Shadowless Surgical Light Manufacturer & supplier ? We have a wide selection at great prices to help you get creative. All the Shadowless Halogen Lamp are quality guaranteed. We are China Origin Factory of Single Dome Medical Lamp with Camera. If you have any question, please feel free to contact us.